It was just a week ago when I asked OnOne about bringing back the capability to open a set of images in a single document, with each image as a separate layer. And this week - bam! 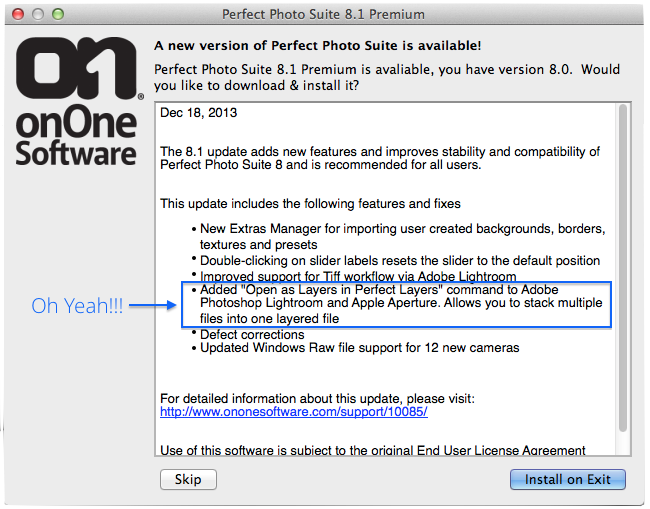 OnOne releases Perfect Photo Suite 8.1. I'm a very happy camper today. Big thanks to OnOne for listening to your customer base and bringing this feature back from the dead - and fast!